One of the most complex and misunderstood mental disorders is bipolar disorder, and it affects 1-3% of the global population at one point in their life or another, although the rates are significantly higher in western countries. Bipolar disorder is also known as manic depression, because it is characterized by unpredictable and seemingly uncontrollable swings between periods of good moods and depression. While many people focus on the negative (depression) side of this disorder, the heightened mood is often a state of mania, which can even include psychosis. Sufferers report periods of elation and hyper awareness, followed by depressive periods where poor self-esteem, inability to socially engage, and suicidal thoughts are common. When bipolar disorder is particularly pronounced, it can even require hospitalization to protect the patients from harming others, and themselves. While the disorder remains a puzzle in some ways for researchers, studies have identified environmental, physiological, neurological, and genetic causes for the condition. Family history, traumatic childhood experiences, improper diet and self-care, or brain structure abnormalities can all result in this challenging and painful condition. There are different classifications of bipolar disorder, which are defined by the type and volume of bipolar episodes, and formal treatment varies depending on the diagnosis. Typical treatments include the use of psychotherapy, which is commonly combined with anti-psychotic, anticonvulsant, and mood stabilizing drugs, such as benzodiazepine. Given the side effects and potentially addictive qualities of current bipolar disorder treatments, many turn to alternative and natural remedies for this disorder. Let’s take a closer look at the home remedies for bipolar disorder. Ginseng: Depression is often associated with fatigue, lethargy, or exhaustion, which can make it difficult to maintain a normal quality of life, hold down a job, or engage in social interactions. Ginseng has been known as an energy-boosting substance for centuries, and the supplemental form of this key herb is readily available across the world. When your energy is boosted, you feel more able to do things, get out of the house, and engage normally. 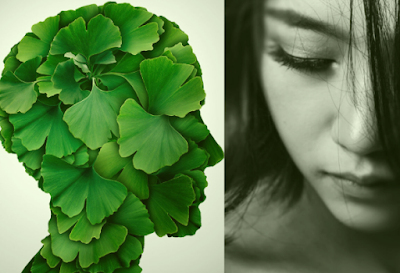 Ginkgo Biloba: The neurological effects of Ginkgo are still up for some debate, but it has been shown to improve blood flow to the brain and protect against cognitive impairment in the case of Alzheimer’s and dementia. This herb is commonly recommended for those suffering from bipolarity as a way to balance mood and properly regulate chemical pathways that affect the brain. Fish Oil: It seems that omega-3 fatty acids are praised for countless health benefits these days, and bipolar disorder is no exception. Fish oil supplements are popular recommendations for bipolar disorder, despite the exact pathway remaining unclear. Studies have shown that populations consuming higher concentrations of fish and possessing higher levels of omega-3 in their bloodstream less commonly exhibit signs of bipolar disorder. For example, Japan has one of the lowest reported bipolar disorder rates in the world, and one of the highest rates of fish consumption. St. John’s Wort: This is one of the standard natural treatments for depression of any kind, and is therefore highly effective for bipolar disorder. By acting as a nervine agent (something that calms/regulates the nervous system), St. John’s Wort can ease depressive tendencies and balance mood, much like pharmaceutical mood stabilizers, but without the dangerously addictive side effects. Note: St. John’s Wort can complicate other medications being taken for bipolar disorder, so medical consultation is recommended. Valerian Root: This readily available herb is also closely connected with bipolar disorder, as it can act as a powerful sedative, ensuring healthy sleep and rest for sufferers of this disorder. Valerian root is also linked to reduced rates of anxiety and stress, which are major contributors to bipolar disorder. By treating the symptoms, this type of alternative treatment can often eliminate the disorder entirely. Lithium: In the past, lithium was often prescribed by doctors to lessen the effects of bipolar disorder, but dosage and diagnosis mistakes were often made. However, you can benefit from naturally occurring lithium in various foods, including mustard, kelp, pistachios, and dairy products. Lithium has been shown to reduce the manic episodes of those suffering from bipolar disorder, but is considered healthier when accessed naturally. Black Cohosh: This well-known herb, also known as black snakeroot, has long been known to suppress the nervous system and prevent manic episodes. Commonly used as a sedative, in regulated quantities, it can help to balance the mood swings and behavioral/social issues that bipolar disorder patients regularly experience. Magnesium: As one of the essential minerals for human health, magnesium helps to promote restful sleep, while reducing anxiety and stress. During periods of excessive work, magnesium levels deplete, leading to insomnia and depression. Some of the best natural sources of magnesium include spinach, seeds, fish, avocados, and bananas. Massage Therapy: The benefits of massage are manifold and well-known, and can help to reduce toxins in the body that cause anxiety, stress, and sleeplessness. Massage therapy has been shown to directly affect the function of neurotransmitters and the hormone levels of the body, which can impact bipolar episodes. Restful Sleep: Exhaustion and anxiety are two of the most common symptoms of bipolar disorder, so ensuring that your schedule includes enough time for a proper 7-8 hours of uninterrupted sleep is crucial. By giving your mind time to work, in conjunction with the use of nervine agents and other behavioral approaches, bipolar disorder will have less “weak spots” to come through and negatively affect your quality of life. A Final Word of Warning: Severe cases of bipolar disorder may require hospitalization and highly regulated treatment. While many of these home remedies may help reduce or prevent bipolar episodes and symptoms, consulting a medical or psychological professional is highly recommended.